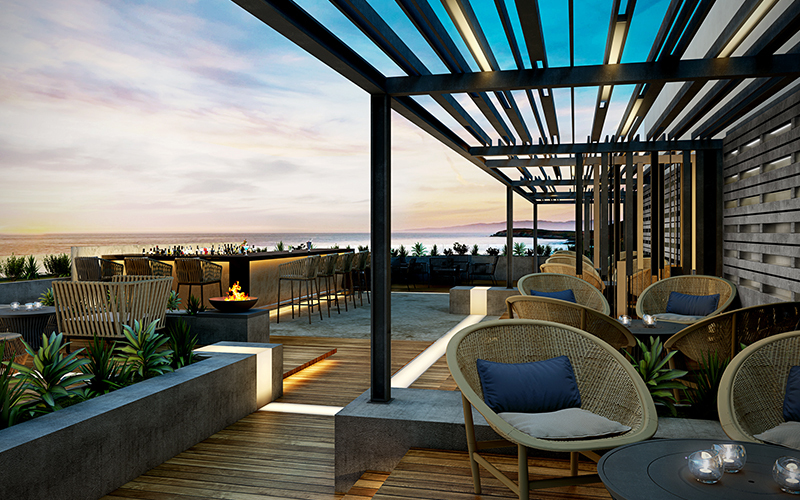 Now open and the newly-launched Saadiyat Rotana Resort & Villas, Turtle Bay Bar & Grill is an ambient restaurant with a stunning rooftop bar and relaxed sounds from live DJs – the perfect spot to watch the sunset. Expect to find surf, turf and grilled delicacies on the menu, to enjoy for both lunch and dinner. At lunch, the outlet takes a more relaxed approach, but as the evening moves sip on lavish drinks from the rooftop terrace with beach views and later enjoy grilled meats or locally-caught fish. For more information or reservations, call on +971 2 697 0000. Vasco’s, the nautical-themed beachside restaurant at Hilton Abu Dhabi has launched a weekend special dining package inclusive of a three-course set menu and access to the Hiltonia beach and pool. The all-new ‘Double Treat Specials’ at Vasco’s is available on Fridays and Saturdays, and is inclusive of a three-course meal as well as same day access to the Hiltonia beach and pool for a starting price of just Dhs189. Two more types of packages are on offer for those who plan to have a few drinks as well. At Dhs254 you can enjoy unlimited soft beverages, fresh juices and mocktails; while at Dhs344, there will be a free flow of selected house beverages and classic cocktails. The three-course set menu features Vasco’s salad bar and a dessert platter served at the table. For mains, choose one signature dish from the a la carte menu which includes signature dishes from the land and the sea featuring Indian, Portuguese and African cuisine. For more information or reservations, call +971 (0)2 692 4247. Taking place every Friday during Ramadan after sunset, there’ll be an all-inclusive food and beverage package available for the price of Dhs249 at El Sombrero from 6pm to 11pm. At the Mexican restaurant, expect everything from crispy chicken taquitos, nachos and chipotle chilli chicken wings to sizzling fajitas, traditional enchiladas, chimichangas, burritos and much more. For more information or reservations, visit www.elsombreroabudhabi.com or call 02 677 3333. COYA Abu Dhabi is celebrating the summer season in nautical style with its glamorous annual La Noche Blanca White Summer Party in the capital on May 11. Setting its sails for a summer celebration, the international Peruvian restaurant that brought its signature flavours and multi-sensory experience to Abu Dhabi in 2017, will transform into cool white for a Riviera Chic themed party. Known for its cool vibe, guests are invited to sip on COYA’s famous beverages and enjoy the up-tempo beats from special guest DJ Paul Svenson and resident DJ Alonso with percussionist Walter Scalzone. For more information or reservations, please e-mail reservations.ad@coyarestaurant.ae or call +971 (0)2 306 7000. Hosting Iftar and Suhour daily during Ramadan, Emirates Palace’s ‘Ramadan Pavilion’ is custom built and will sit on the Palace Terrace with beachside views. With a large open dining area for Iftar buffets, a separate lounge area and private majlis, guests will enjoy the best traditional dishes. Signature dishes and traditional delicacies of the holy month will be offered in a sprawling buffet every night for Iftar. With live cooking and carving stations to whet every palate, succulent grilled meats with traditional accompaniments and other traditional Emirati favourites, a selection of continental delicacies and an assortment of desserts, the Iftar buffet and à la carte Suhour menu will offer a truly inspiring experience for all senses. Ramadan Pavilion rates are Dhs320 for the Iftar buffet and a minimum spend of Dhs180 for the Suhoor à la carte menu. For more information or reservations, call +971 (0) 2690 7999 or email restaurants@emiratespalace.ae. Love tacos? Head to Stars ‘n’ Bars on a Tuesday, where every week from 8pm onwards the restaurant will host ‘Taco Tuesday & Pub Quiz’ night. A great night out for brainiacs and general knowledge buffs. The fun but semi-serious quiz is hosted by the very entertaining quizmaster Darryl Rees. The test of wit begins at 8pm and there are lots of prizes up for grabs, with 2 for 1 specials on taco platters and specials on paired Mexican drinks. For more information call 02 565 0101. From 7pm to 11pm daily during Ramadan, indulge with Pappagallo’s ‘all you can eat pizza’ deal for Dhs89 per person. Pappagallo awaits with plenty of freshly cooked choices – right from the wooden oven. One house beverage is included in the price. For more information or reservations, call 02 644 6666.